Aileen joined our team in 2012. She is a graduate of Crane High School and has worked in Crane her entire life. She is our scheduling coordinator; and you will find her smile and warm greeting first thing when you enter our office... and the last thing you see before you leave. She resides just south of Crane with her husband and two daughters; they enjoy outdoor activities and sports. 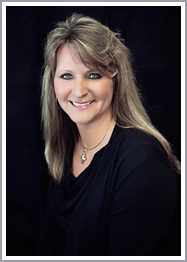 Donna has been with our office since 2008. She runs all aspects of our back office and treatment areas, including coordinating patients and ordering & maintaining supplies. 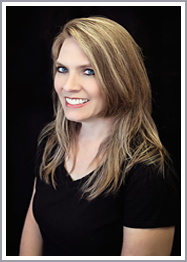 She graduated with Honors from Vatterott College as a Registered Dental Assistant and also has her certification in restoratives, prosthodontics and orthodontics. 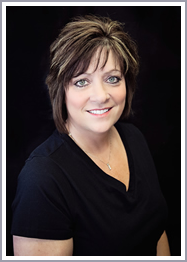 She enjoys helping patients attain the smile they have always desired. 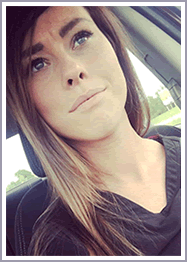 A recent graduate of OTC Dental Assisting program, Kristi has a desire to help patients achieve the smile they have always desired. She loves to see a smile transformed and to be a part of it. She enjoys spending time with her son and dogs, doing outdoor activities, watching scary movies and traveling. You can rest assured that she can always make you laugh! Misty joined our team in September 2016 as our hygiene assistant. She is actively working towards her dental assistant certification. Misty has lived in Crane since 2003, where she is very involved with the school and community. She enjoys spending time with her husband and four children, playing sports and spending time outside. My name is Stephanie Washburn. I have enjoyed my career as a dental hygienist, realizing at an early age that there was no other place for me other than the dental office. I worked as a nursing aid before attending dental assisting school in the early eighties and started my career shortly after. In 1993 I graduated from Forest Park Dental Hygiene School in St. Louis. I was blessed to work for several very good dental offices and doctors where I learned the importance of excellent dental treatment. That is why I feel so fortunate to be working for Dr. Burpo. He reflects everything I feel is important in treating a person. (I also spent some time working in a periodontal office). I understand that every person is an individual and that each person deserves individual care. I also enjoy getting to know each patient that I see on a personal level... to build trust in one another. As a hygienist I know the importance that each person plays in helping to take care of their own mouth and I become part of that team in working to find what best works for them. My goal for each one of you is your health and that you keep your teeth for a lifetime. My most important accomplishment is my family; my husband and two beautiful daughters. And now a handsome two year old grandson that is the light of my life. We enjoy spending time at the lake, boating and relaxing, when we are not doing that we are in Lawrence Kansas visiting our little Jayhawks. I look forward to serving you all.